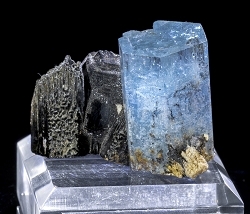 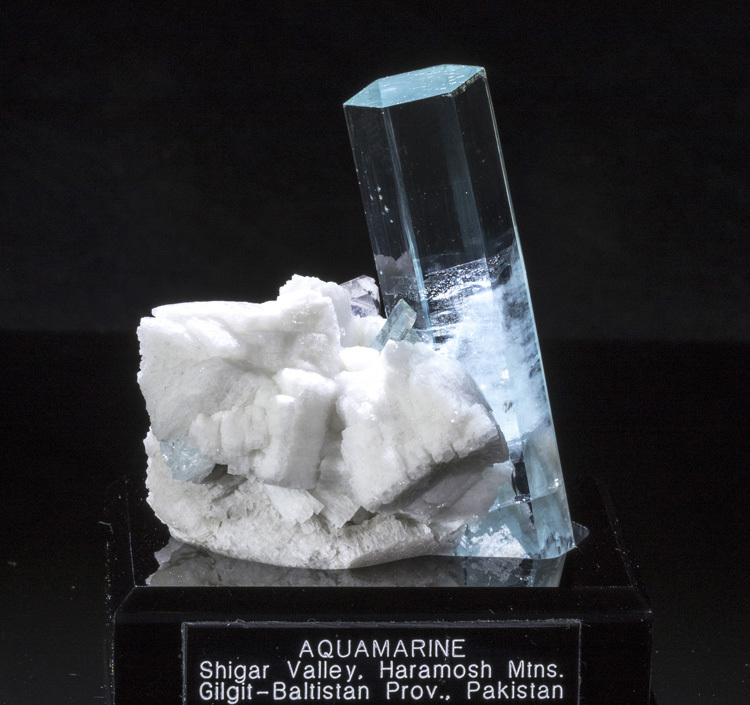 This specimen represents the rarest of aquamarine combos from Pakistan. 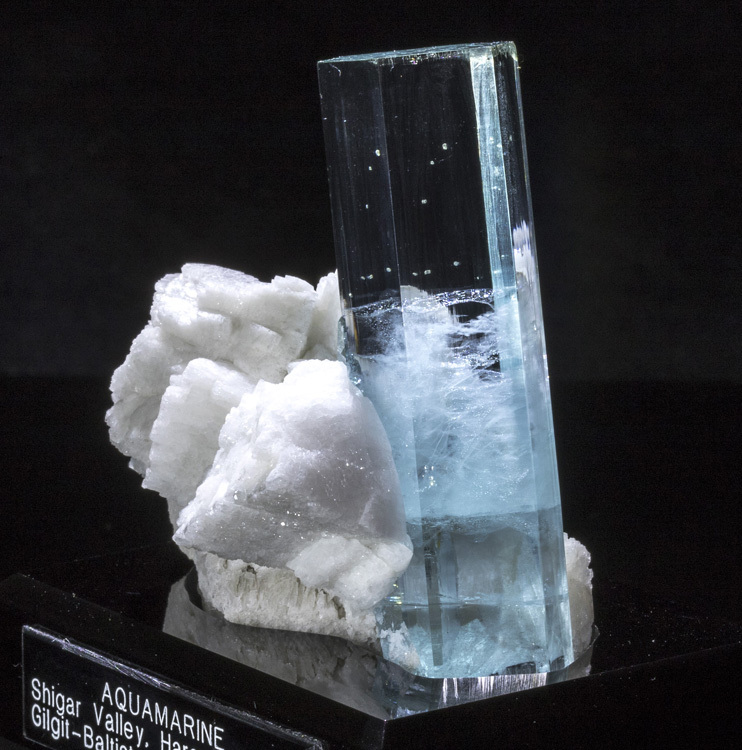 Here we have an absolutely perfect, double-terminated, damage-free, unrepaired, blue aquamarine crystal that is 6.7cm long and 2cm wide. 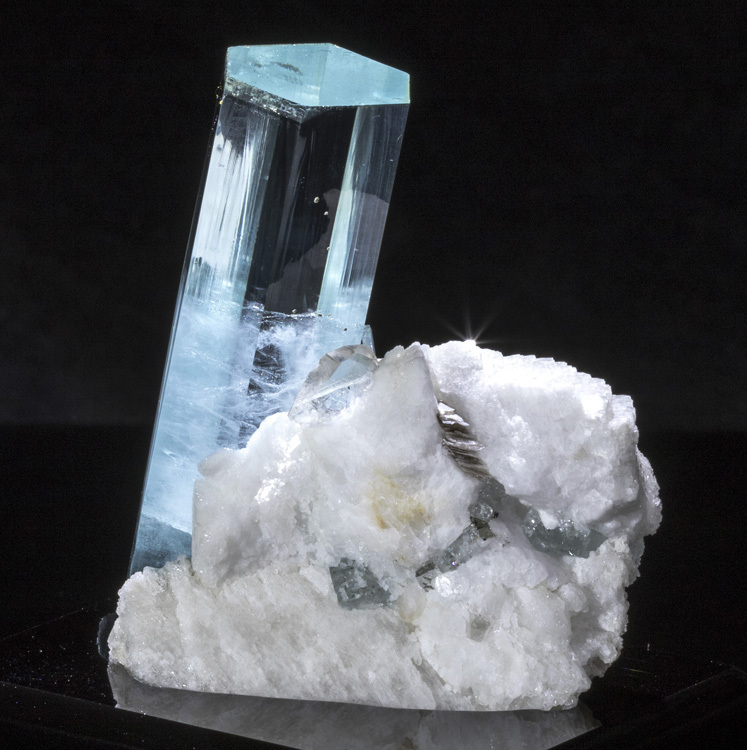 The luster and clarity is that of glass, and the color is as perfect as it gets for Pakistani aquamarine! 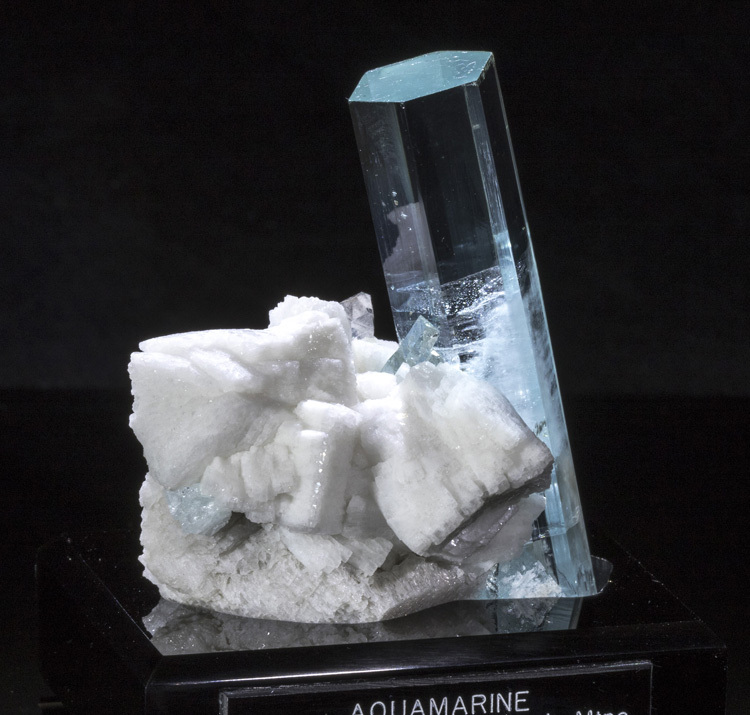 The photos really don't do this piece justice, and in person this is a major "Wow!" 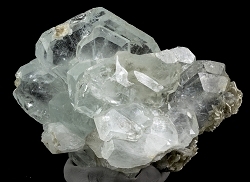 specimen. 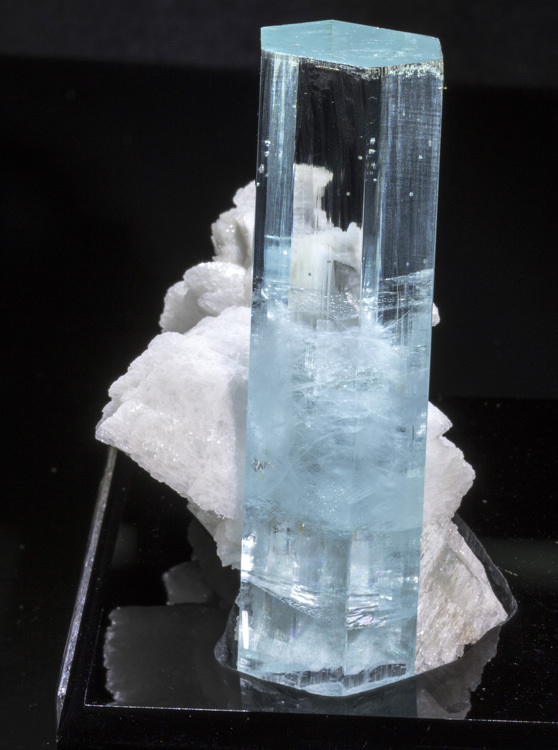 Both ends of the aquamarine are terminated, and the color is just breathtaking! 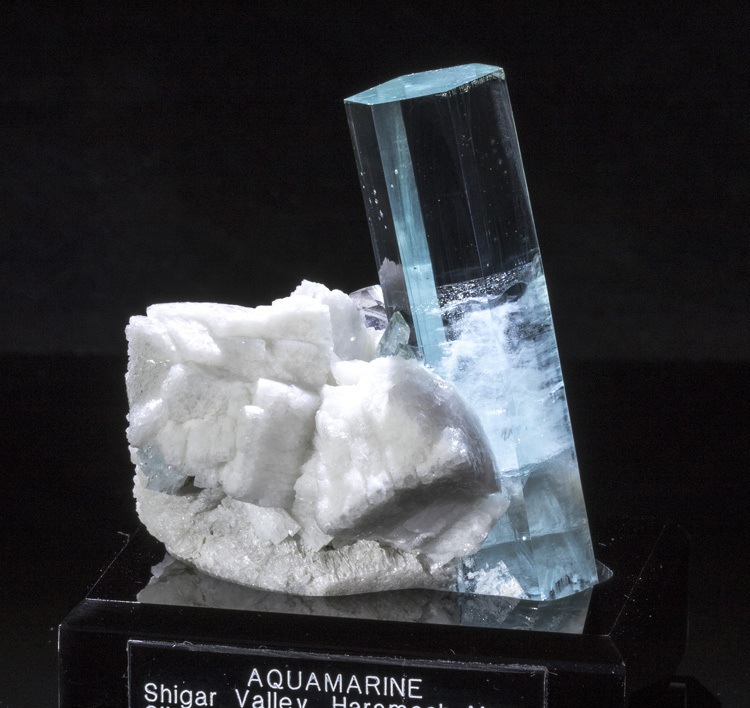 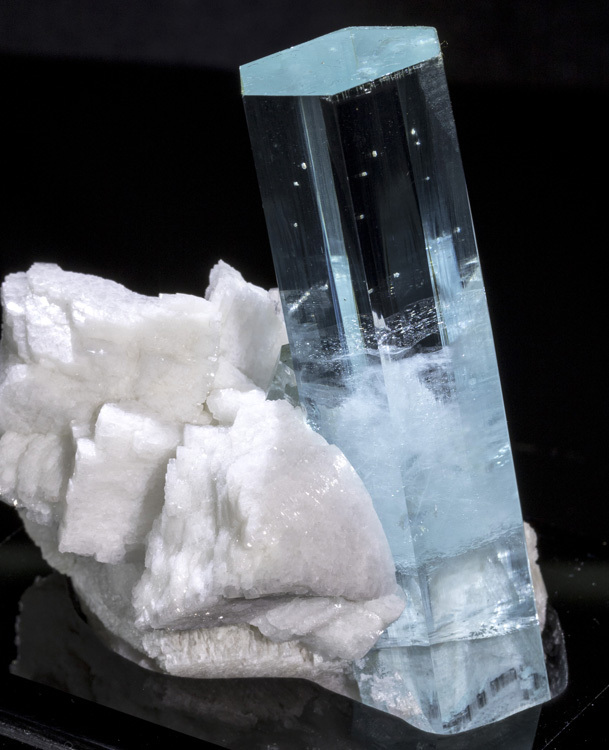 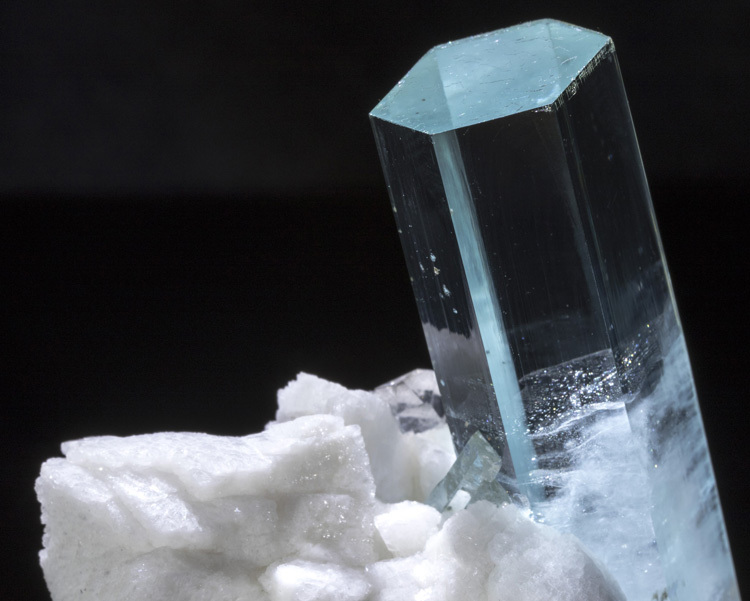 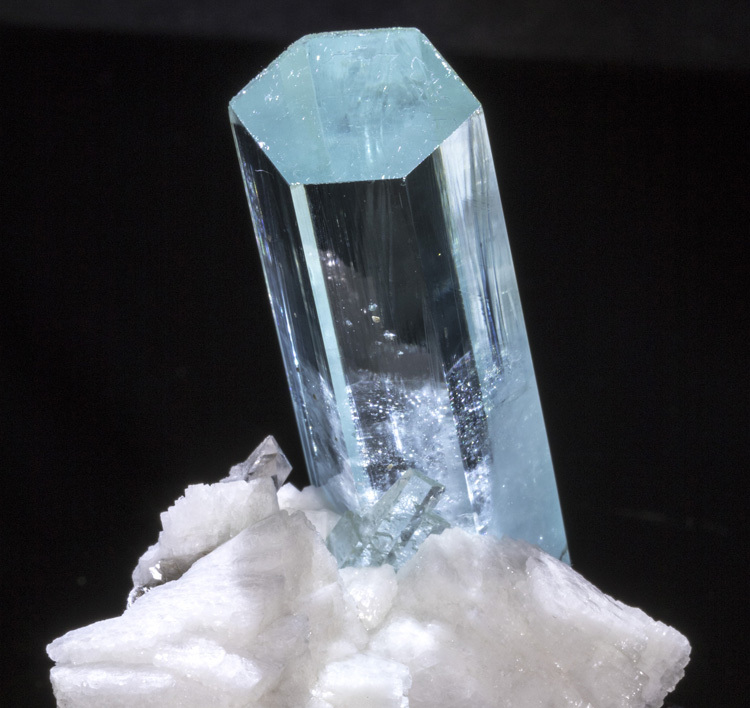 This represents a fraction of the top 1% of aquamarine specimens that come from Shigar Valley, and in a good year of mining only a handful of specimens of this quality are found. 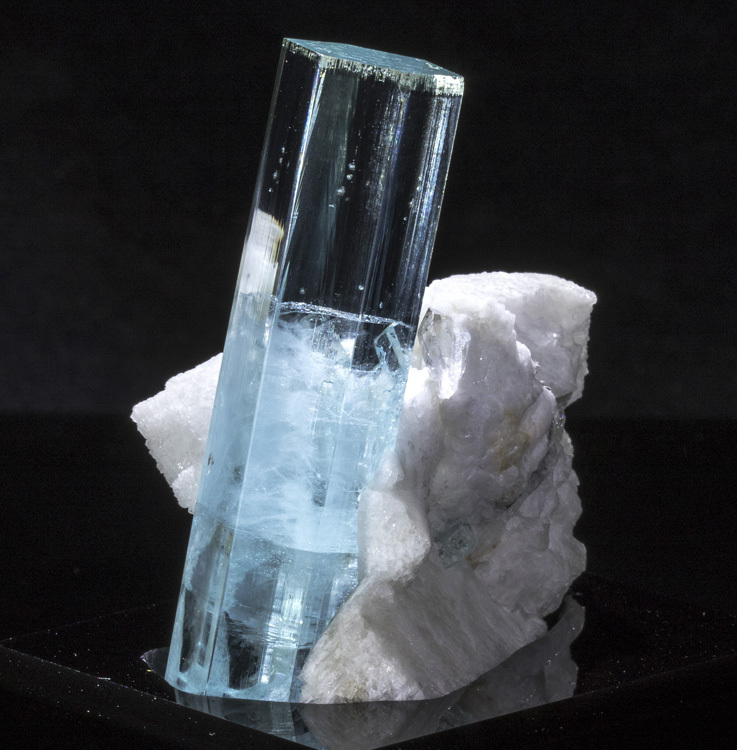 In some years they don't find anything this good. 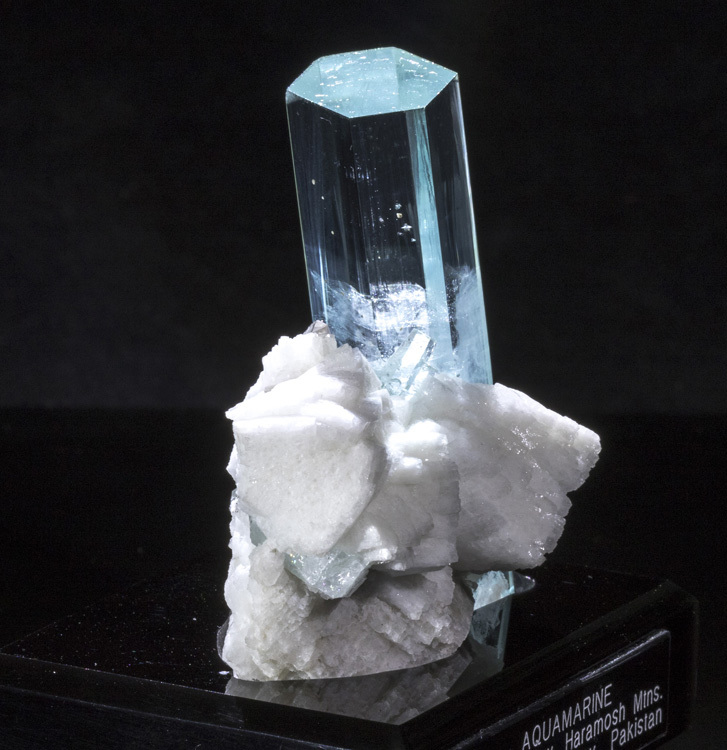 The size, color, condition and aesthetics make this an absolue top collector-grade specimen. 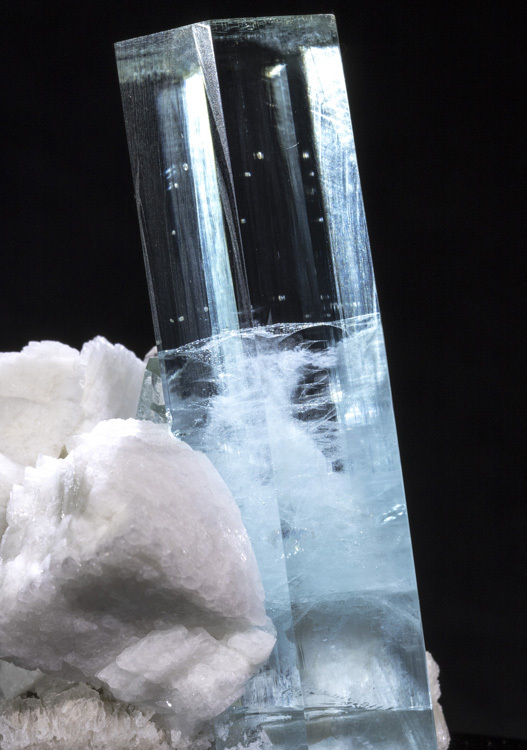 It comes with a custom black acrylic Sunnywood base, however, the specimen will stand up on its own without the base as well.